Match Report: First DII Win vs. San Jose Seahawks! The sun shone brightly over Treasure Island Saturday, where the Berkeley All Blues DII side faced off against the San Jose Seahawks in their third match of the season. At kick off temperatures were in 70s, and on both sides, the sweat was already flowing. An early penalty against San Jose and dominant play by both forwards and backs setup All Blues for the first try of the game by center Brittany Bruder off a switch from center Bulou Mataitoga. 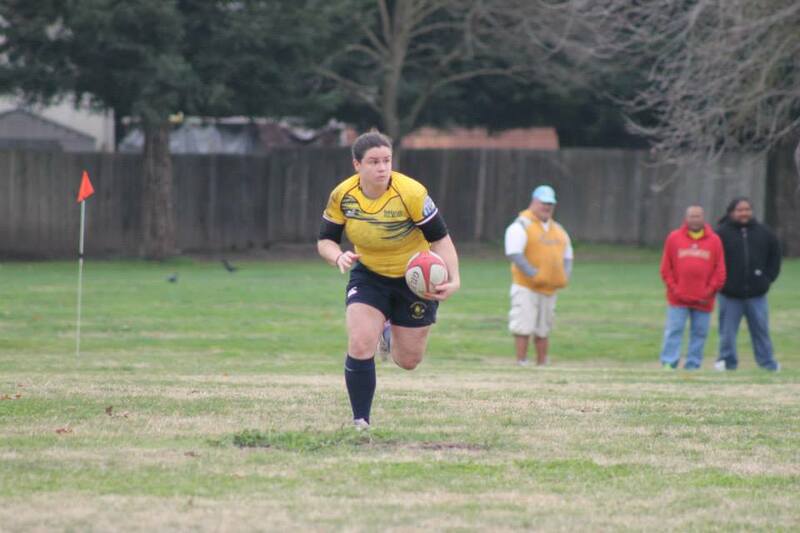 A successful conversion from fullback Stara Gipson put the early score at 7-0. The Seahawks responded by pushing hard on a series of penalties that led to a try to tie the game 7-7. The Seahawks kept up their momentum with a breakaway by their 9, but she was stopped by a crunching tackle from Gipson, who would go on to make many more try-stopping cover tackles in the game. Play continued with hard punches from both teams, but a turnover ball deep in the All Blues half led to a Seahawks try in the corner. Score 7-12. All Blues quickly retaliated with a try off a strong forward drive to tie the score. With the score tied, both teams fought hard to gain the lead before the end of the half. A held up Seahawks ball and dominant tackles by Mataitoga and All Blues props Daniela Bernstein and Kerrie Kubo, left the halftime score tied at 12-12. The sun beat down on the spectators and on the field tensions heated up as both teams hoped to gain the momentum in the second half. 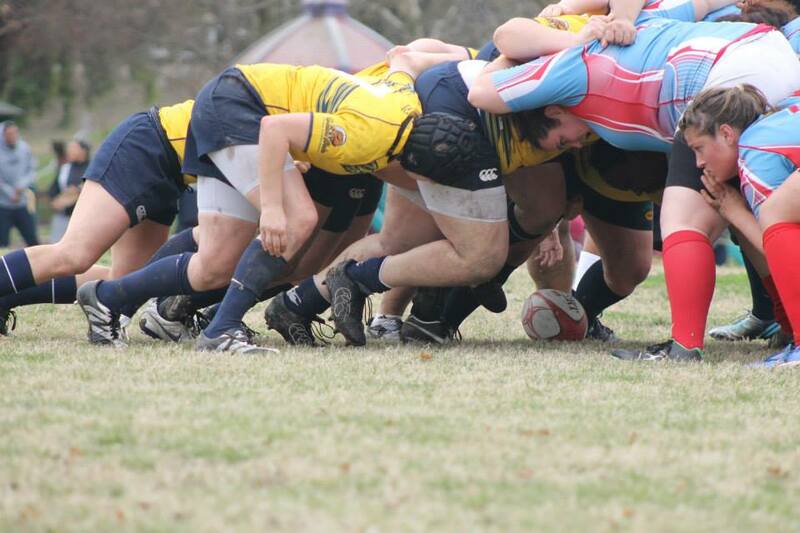 Possession switched sides multiple times, but a breakaway by the Seahawks backs ended in a try under the posts. Score 12-19. San Jose continued their plan of punching up the middle of the field, but a forward pass gave possession to the All Blues. Good ball movement by the Berkeley backs brought the ball into the San Jose half and put the Seahawks under pressure. All Blues forwards kept up the pressure by dominating two scrums on the Seahawks 5 meter line, forcing a Seahawks kick, which was picked up by Bruder for a try. Score 17-19. The All Blues maintained their energy by catching the kickoff and barreling once more deep into the Seahawks half. Berkeley and San Jose forwards battled it out in set play until All Blues made the decision to kick for points from the 22m line off a Seahawks' penalty. With all eyes on her, Gipson sent the ball through the posts bringing the score to 20-19. Bolstered by the lead change, the All Blues kept the momentum for the remainder of the half. 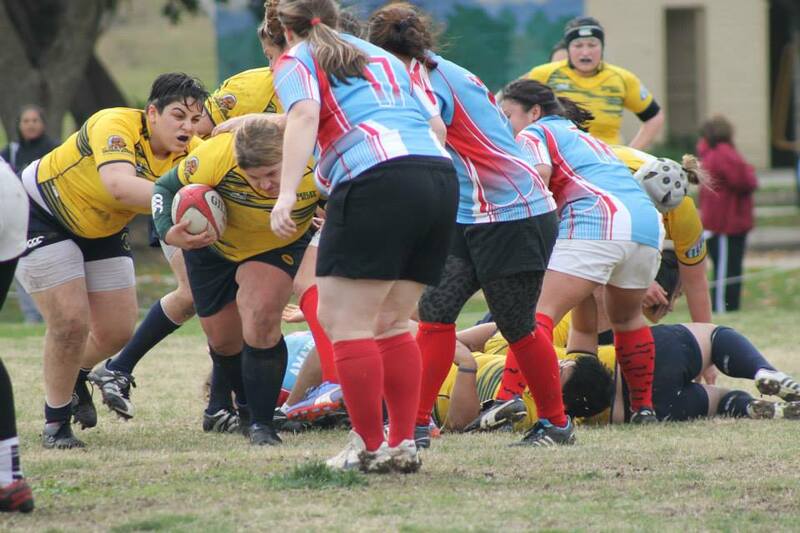 Both sides continued to play viciously, but a kick into the Seahawks try zone and a chase to touch down the ball, both by All Blues center Lisa Dombroski, erased any doubts of a Berkeley victory. The final whistle of the heated match saw the score at 25-19. Forward of the match went to lock Emily Peinert for consistent hard work , and back of the match went to Dombroski for coming in at half and immediately making an impact. 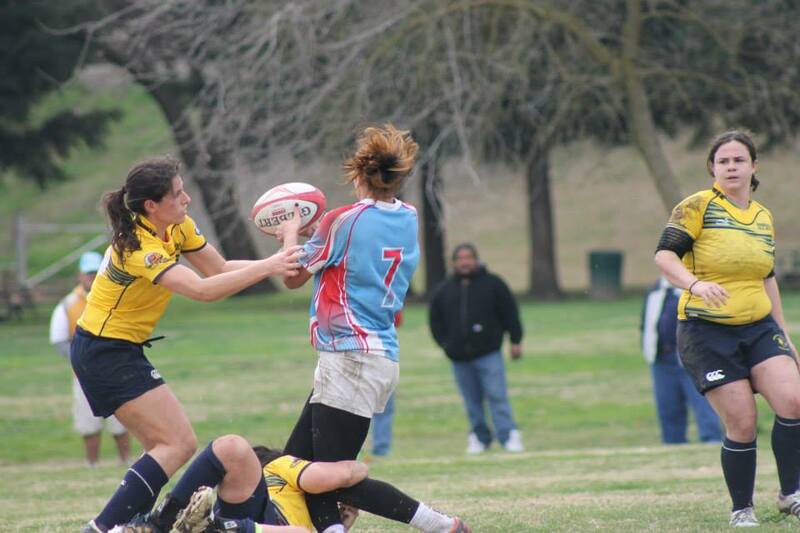 Catch the next All Blues home game on Treasure Island this Saturday, March 15 (kickoff 1pm) against the Sacramento Amazons! 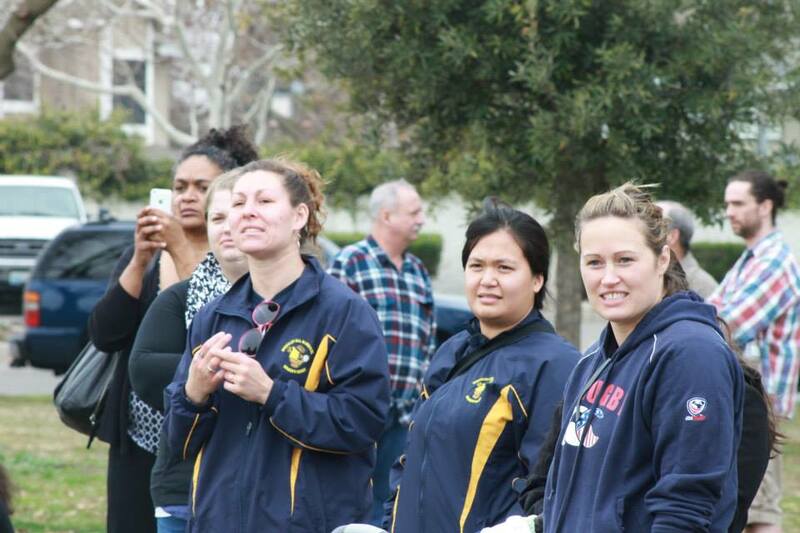 The Berkeley All Blues DII side played their second game of the season and first home game against San Francisco Golden Gate this past Saturday on Treasure Island. The All Blues started the game with fourteen players and were playing down four by halftime due to injuries and a lack of substitute players. San Francisco Golden Gate scored within the first ten minutes and made the conversion, bringing the score to 0-7 early in the game. The All Blues slugged through the first half, suffering three injuries that left the team with eleven players on the field. 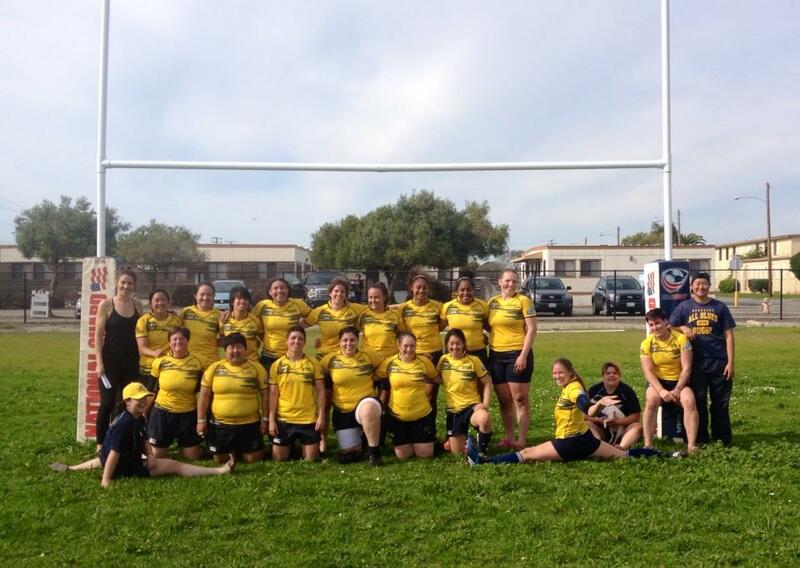 Two more SF Golden Gate tries brought the score to 0-22 by halftime. 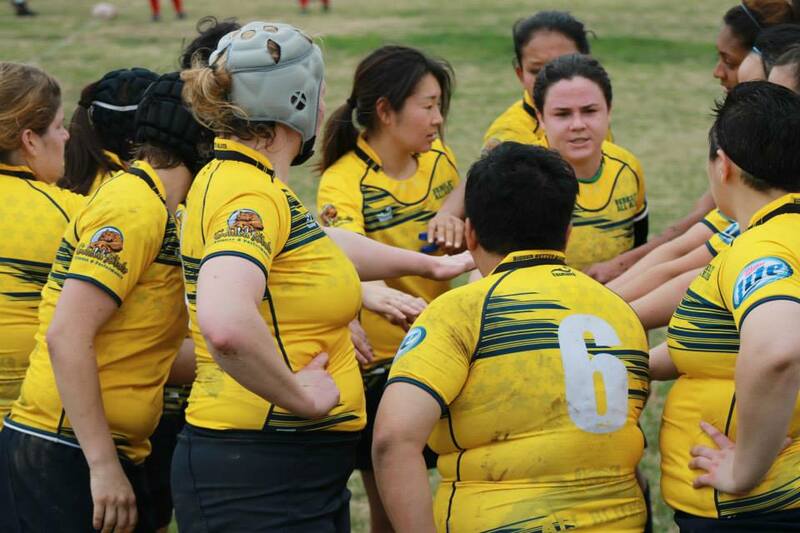 The first few tries scored after halftime were San Francisco Golden Gate’s, in spite of the All Blues efforts to maintain a strong and impenetrable defensive line. 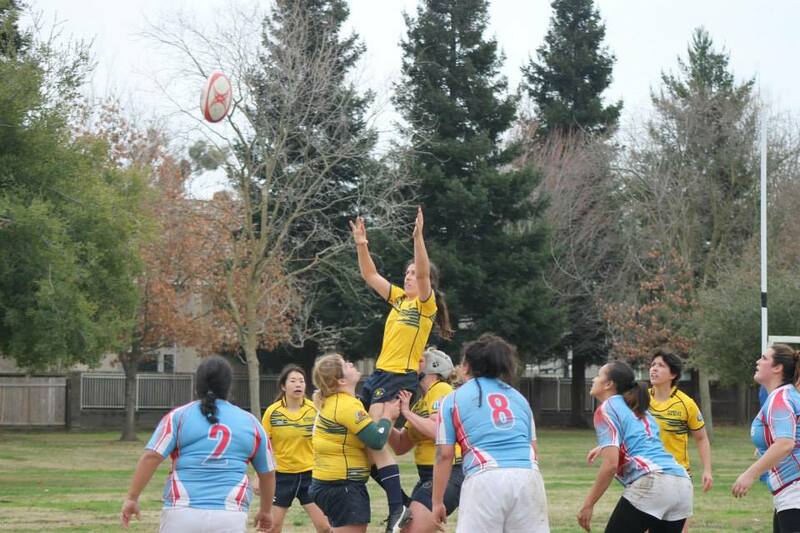 Berkeley’s first try of the day came late into the second half and was touched down by captain Bridget DeSantis. 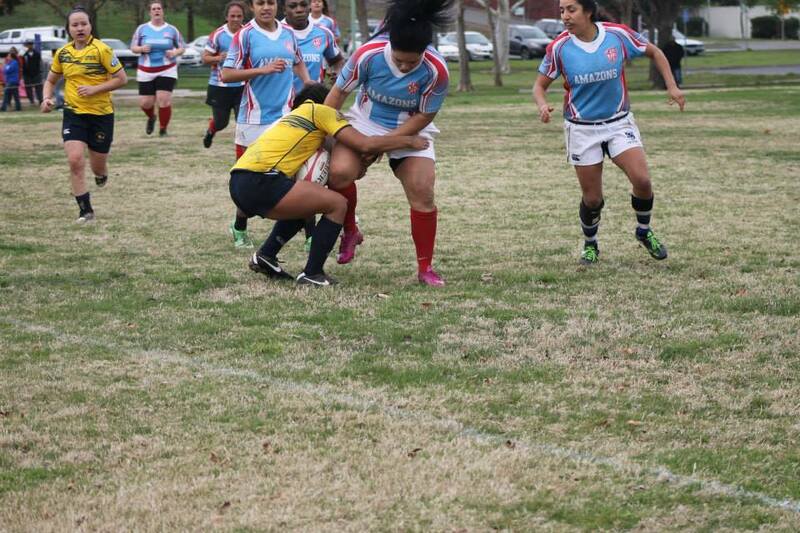 After another try by SF GG, center Bulou Mataitoga scored the All Blues’ second try. The last twenty minutes showed marked progress and extraordinary effort on behalf of the All Blues, with the final score at 14-48. 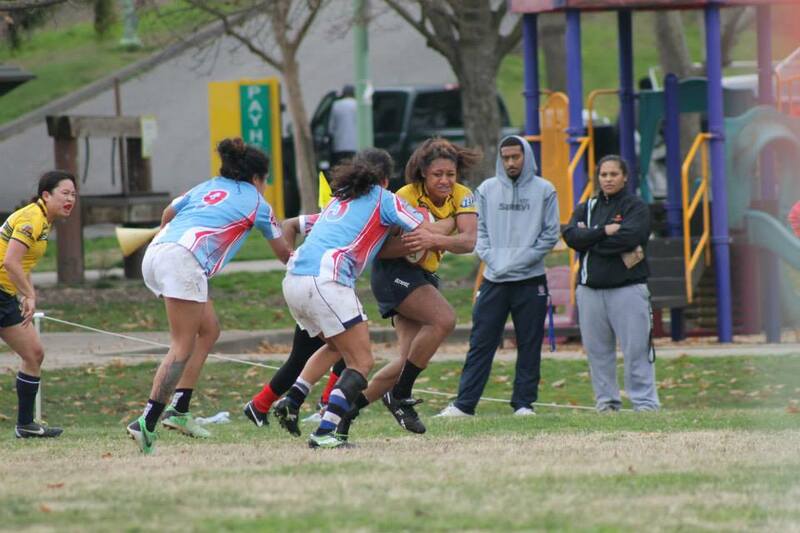 Loosehead prop Kat Telles earned forward of the match for her high work rate and sense of urgency and wing Jessica Oya earned back of the match for her try-saving open field tackles. Despite injuries and numbers, the All Blues put up a tenacious fight for the duration of the 80 minute game, showing strength of character and heart. The score was ultimately not a reflection of the relentless spirit of the team and if the improvement between the All Blues’ first and second games of the season is any indication, there are better games ahead. 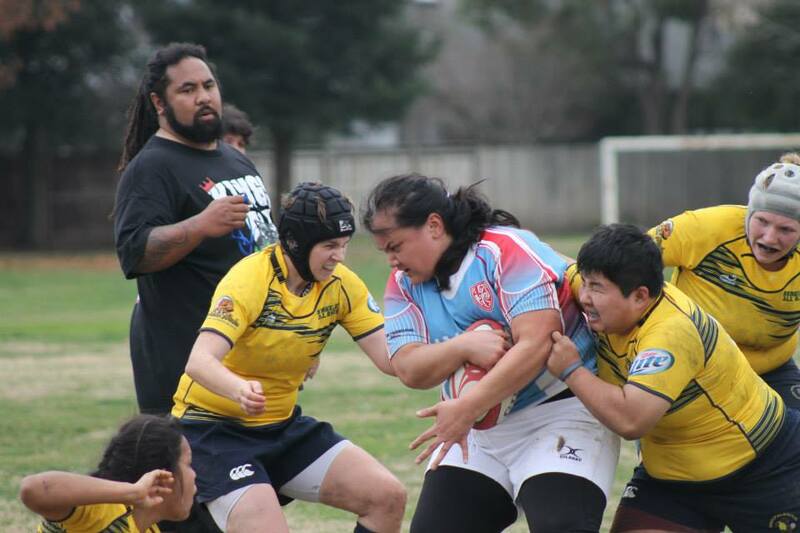 On Saturday, the All Blues travelled North to play the Sacramento Amazons in the first match of the All Blues’ inaugural D2 season. The game was a tough loss but great learning experience overall for the new team. 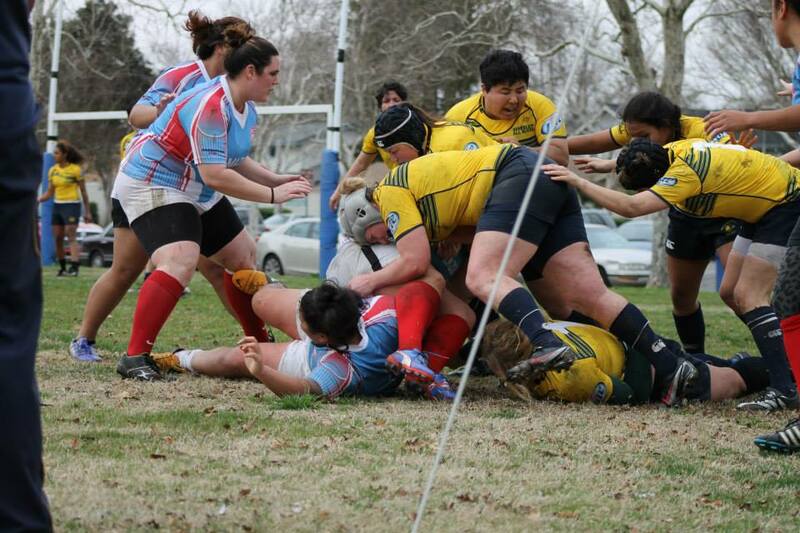 The Amazons started strong, making their first try quickly. They continued to rack up points despite the All Blue’s best efforts to make strong tackles and be aggressive around the breakdown. The All Blues never stopped pushing back but unfortunately it wasn’t enough to stop the Amazon’s powerful forward pack from consistently making punches through their defensive line. The score at halftime was 0-43. The All Blues didn’t gave up, continuing to challenge the Amazons at every turn. The overall team mentality remained positive throughout the entire game as the team continued to have moments of individual brilliance even in the final minutes. It was a tough game but taught the team a lot about what they need to work on for upcoming matches. 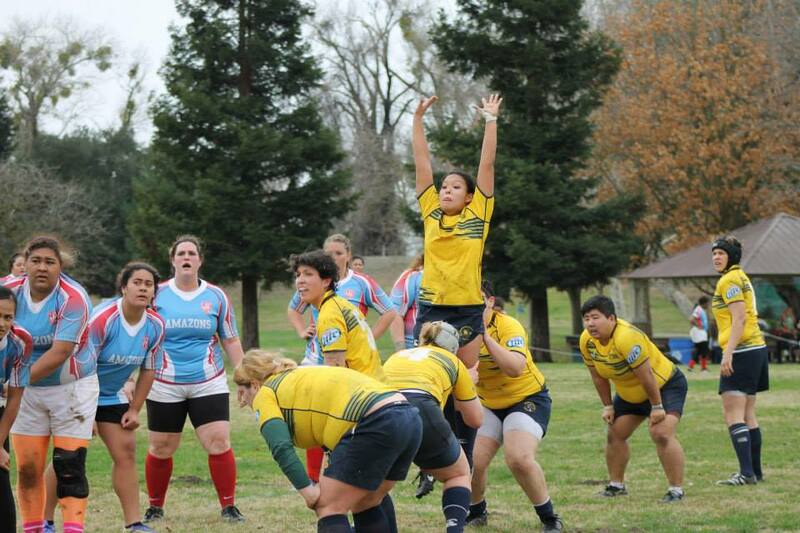 The forward of the match was Kerrie Kubo for consistently challenging the gain line and making massive hits throughout the game. The back of the match was Tisha Waki for great decision making and communication throughout. The final score was 0-74.